When we invest in relationships, lives are changed, including our own. You can make a difference – even halfway around the world! LifePoint partners with incredible ministries in five different countries. When you partner with us, you could rescue a child from being trafficked in Guatemala, provide training for a widow in Ethiopia to support her family or give hope to an orphan in Ukraine. You can also support one of our short-term mission trips. Haiti is a Caribbean country that shares the island of Hispaniola with the Dominican Republic. 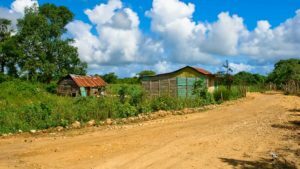 Over the years, economic, political, and social difficulties, as well as natural disasters, have plagued Haiti with chronic poverty and other serious problems. Since 2011, LifePoint has developed strong relationships with the people in the village of Minoterie. In the first five years, Mission of Hope Haiti (MOH) helped us get to know the people and the culture. Many families at LifePoint enjoy sponsoring students at MOH schools. In 2017, LifePoint began focusing our efforts on Faith and Action Ministries (FAM) which is a Haitian organization based in the village of Minoterie. FAM’s primary work is to promote spiritually and physically healthy families and marriages. Guatemala, a Central American country south of Mexico, is home to volcanoes, rainforests and ancient Mayan sites. Yet 70 percent of its people live below the poverty level. LifePoint has multiple partnerships in Guatemala. Since 1996, we have partnered with Oscar & Ana Campos, full-time missionaries who teach and lead at the Central American Theological Seminary in Guatemala City. We also partner with the local offices of two international ministries, Orphan Outreach & International Justice Mission (IJM). These two organizations focus their efforts in Guatemala on helping orphans, vulnerable children and child victims of abuse. Rwanda, a small landlocked country in east-central Africa, is trying to recover from the ethnic strife that culminated in the tragic genocide in 1994 where over 800,000 people were killed in 100 days. LifePoint partners with Youth for Christ/Rwanda, a Christian youth movement that reaches young people everywhere, working together with the local church and other partners to raise up lifelong followers of Jesus. Through YFC Rwanda, we also sponsor students at the Kigali Christian School, allowing low-income students to receive a quality education. Ethiopia, in the Horn of Africa, is a rugged, landlocked country split by the Great Rift Valley. With archaeological finds dating back more than 3 million years, it’s a place of ancient culture. LifePoint partners with Carry117, a non-profit organization that concentrates its efforts in Ethiopia in a village called Korah, located near the city trash dump. Carry117 provides training for orphans, single mothers, widows and women living with HIV to learn a skill and to make quality products. Their ministry helps preserve families and prevent more orphans by providing opportunities for women to work and earn a paycheck. 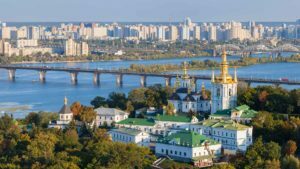 Ukraine is a large country in Eastern Europe known for its Orthodox churches, Black Sea coastline and forested mountains. There are approximately 95,000 children in Ukrainian orphanages; these children must leave the orphanage by the time they are 16 or 17. Beginning in 2009, LifePoint Church has partnered with Alpha & Omega and Orphan Outreach to help develop a program for orphan graduates in Dnipro, Ukraine called Alpha Life. This ministry assists orphan graduates as they leave the orphanage system by providing the safety net of spiritual, physical and emotional support these graduates need as they transition to adulthood. What is required from me to be on a team? If your application is approved, you will need to attend the team preparation meetings and raise funds to cover trip costs. Yes, traveling outside the United States requires an up-to-date passport. Passports cost approximately $175. For more information about applying for or renewing a passport, please visit the U.S. Passport website. Participants are encouraged to begin the fundraising process as soon as they are confirmed on the mission team. We suggest sending out support letters to family and friends as soon as possible. What vaccinations will I need to get? Please visit the CDC travel website for the most up-to-date recommendations for the country you are visiting and consult your medical professional to determine what vaccinations you will need. How long is a mission trip and what is the cost? The length of a trip is dependent on the area and purpose. An average length of time for a trip is 7 – 10 days. The cost can vary widely depending on the length of time and region. Is there an age requirement to participate on a LifePoint Missions trip? Participants must be at least 12 years old, depending on the trip. 12-14 year-olds must be accompanied by parent/guardian and 15-17 year-olds need a signed consent form. Serve our neighbors, get outside our borders, make a difference around you. No matter what you are passionate about, we have a way for you to go beyond. Be praying for our first-ever medical missions visit! Please be praying for this missions trip!